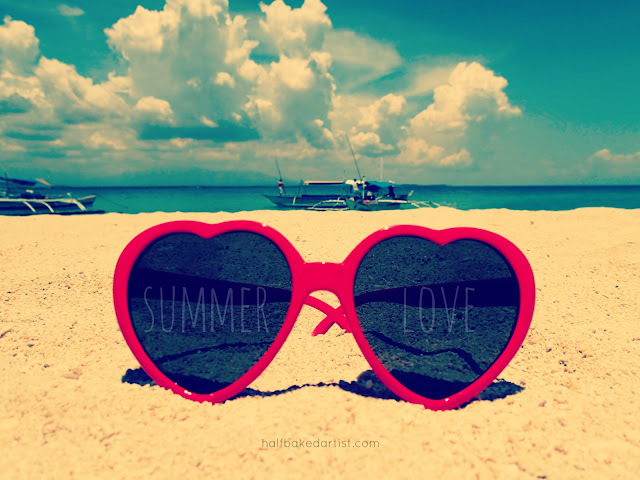 It's officially summer...are you ready? 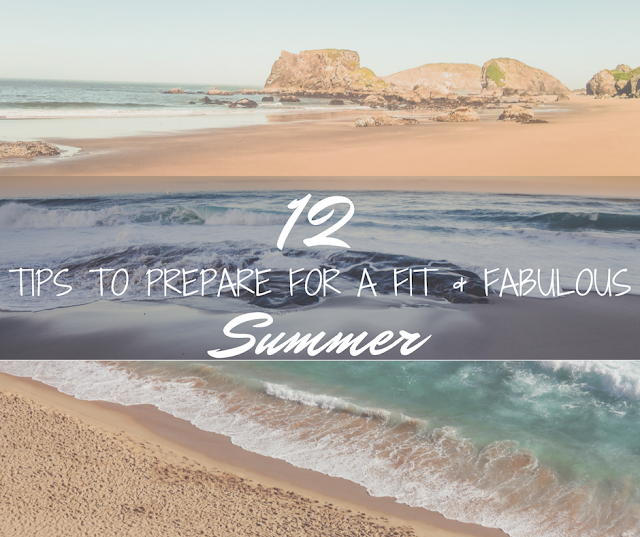 If not, try incorporating some of these tips to help you get ready for a fit and fabulous summer! REST. Ideally eight to ten hours is what you should shoot for. Shoot for. If that means winding down early (with your kids or without), then do it. I keep a notepad by my bed so I can jot down things on my mind that might keep me awake. I also try to get to bed early enough to read/meditate to make sure I fall into that deep sleep I love so much. Staying well rested will keep your brain in check when those nasty cravings set in. INTENSIFY YOUR WORKOUT. Work out smarter, not harder. 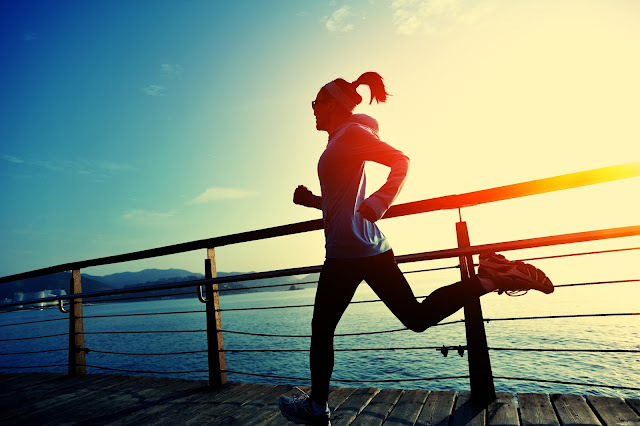 Don't waste precious time jogging along when you can speed it up with sprints or a Tabata session (20 seconds high intensity, 10 seconds recovery for eight rounds). Whether you are jumping rope, squatting, lunging or high knee-ing, push yourself through intervals and make 20 minutes count for an hour. CUT BACK ON COCKTAILS. I know, I know, WTH...but if you want to lose weight, one of the first things that needs to go is that nightly drinky drink. Try to limit it to one or two drinks per week...if that. Once you get to your ideal weight, then you can enjoy a cocktail poolside...with that rockin' body of yours! FIBER-FULL MORNINGS. Fiber keeps you fuller longer, and who doesn't want that? With the recommendation being 25-35 grams per day, it seems nearly impossible to full up on that many berries, cups of beans and whole grains. Start off strong and get as much as you can in the AM (think steel-cut oatmeal, fiber cereal with fruit). 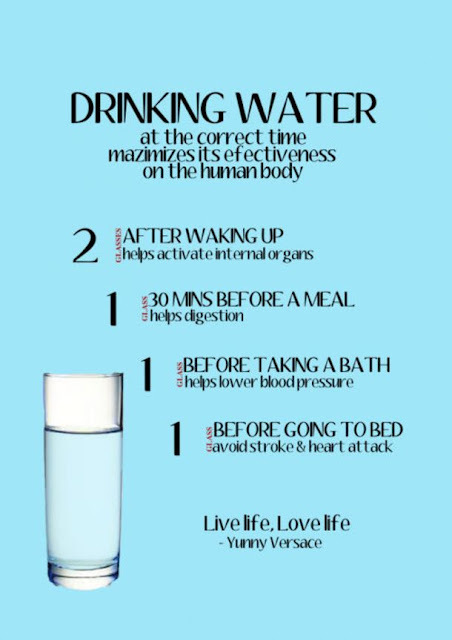 HYDRATE. There is one true liquid of the Gods and it is that quality H20. Ditch the soda and juice (packed with sugar and calories) and flush that body right with nothing but fresh, delicious water. MAKE IT A GROUP THANG. Whether you hit an exercise class with a friend, run with a neighbor or take on virtual challenges, force yourself to be accountable. Get in a group and expect each other to show up. It is not nearly as easy to dodge a workout when people are waiting for you and are happy to lay on the guilt. LIVE ACTIVE. I know how hard it is to try and make time for fitness when you have little ones at home, but what if your life just was fitness? I sometimes catch myself sitting and watching the boys play when I realize I could also be getting my calorie burn on. I get up, get moving and watch those steps tick away on my tracker. I always aim for at least 12,000 steps a day and usually have no problem getting there. Running around outside, dancing, riding bikes, jumping on the trampoline, teach yourself (and your littles) that being active IS life. EAT CLEAN(-ISH). I try to eat as healthy as possible, but I also don't deny myself anything I want. So, yes, if that means I need a day of chemical s#% storm, so be it. I accept my poor choices and make better ones the next time around. 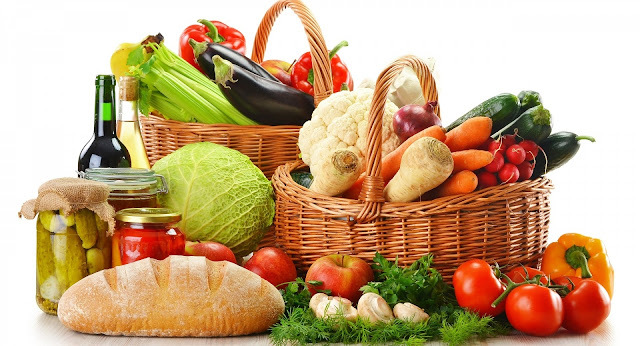 As long as most of your diet is whole and healthy then you are off to a good start. CHECK OUT. 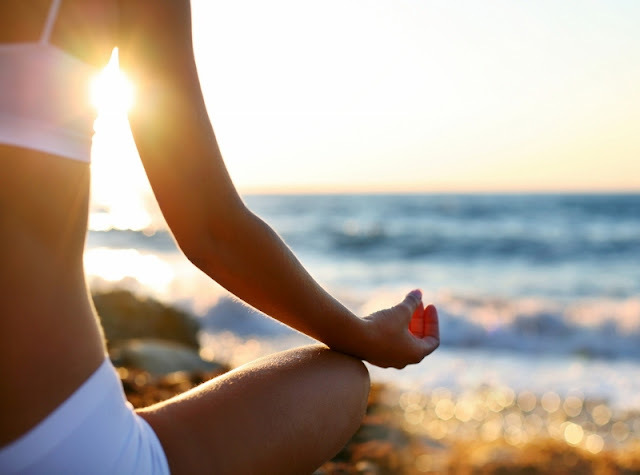 Taking a small amount of time each day to mentally cleanse through meditation can reduce stress and also get your mind in check. When your have a clear head you are less likely to go digging make poor eating choices and dodge a workout. SET SOME ASIDE. When you make/order food, train yourself to see multiple servings. If you are out, ask for a box. If you are home, make a small plate and save the rest. Don't gorge yourself at each meal. Keep it small, enjoy it and set the rest aside for later. GET STARTED. Make an effort to get healthy. Even as little as five minutes of cardio a day will have you feeling better than zero. Jumping jacks while dinner is cooking or a dance party with your kids will work. The goal here, get your endorphins pumping and teach your brain to crave the feeling. Cutting out soda, your daily McDonalds breakfast or even just slowing down on that burrito is a good start. Take it one day at a time and do your best! Do you have any favorite tricks stashed away to help you ready for summer?